CaptainKudzu: Is there an alternative to oil? In the wake of BP’s disastrous oil spill in the Gulf of Mexico, many politicians and environmentalists are renewing calls for alternate energy and electric cars to relieve the United States from our dependence on foreign oil. Energy independence would have many advantages, from decreasing pollution to depriving terrorist-supporting Arab states of revenue. Even without environmental considerations, the high price of gasoline, especially for summer road trips, gives many car owners the urge for a cheaper alternative, but is a short-term transition to other sources of energy realistic? The journey away from oil began in earnest a few years ago with the introduction of the Toyota Prius, the first popular hybrid auto. The Prius combines a gasoline-powered engine and two electric motors. The gasoline engine powers the car for highway driving and the electric motors. The car often runs on battery power with the gasoline engine switched off. Another popular alternative auto is the Smart Car. This two-seater is a product of Daimler and is known for its fuel economy. The tiny car is unique on American streets. Its small size and distinctive round shape make it stand out. One red Smart Car seen around my home town of Villa Rica, Georgia has a vanity license plate that reads “TMATER.” The Smart Car is powered by a traditional gasoline engine. There are problems with these new cars. One problem is that although they do offer high gas mileage, fuel economy is only marginally better than traditional compact cars. The Prius advertises a fuel economy of 51 mpg in the city and 48 on the highway (http://bit.ly/9Luzbf ). The Smart Car reports 33 mpg in the city and 40 mpg on the highway (http://bit.ly/c0FRsJ ). In contrast, a new traditional compact car such as the Ford Fiesta measures in 29 mpg in the city and 40 on the highway (http://bit.ly/bY0kNs ). For this marginally better fuel economy, the car buyer must pay a premium. MSRP for the Prius is between $21,000 and $28,000 (http://bit.ly/cOs1Qn ). The Ford Fiesta, a car of equivalent size to the Prius, has an MSRP of $13,000 to $17,000 (http://bit.ly/cjOnQI ), almost $10,000 less. The Smart Car has approximately the same price as the Fiesta (http://bit.ly/ctZ3YR ), but at half the size. It would take years or thousands of miles to pay for the increased cost of the car in fuel savings. Of course, if gas prices increase sharply, the math would shift in favor of the Prius and Smart Car. These new cars are also clearly not designed with large families in mind. The Prius and the Smart Car are practical for commuters, but not people who travel with children and the assorted paraphernalia necessary for a family trip. There are a variety of hybrid SUVs on the market, but again there is a tradeoff. A premium in price is added to an already expensive vehicle in exchange for modest increases in fuel economy. The prospect of completely electric cars would face the same problems as well as additional ones. When Chevrolet’s corporate officers came to congress for a bailout, they touted the upcoming release of the Chevy Volt, a totally electric car. One obvious problem with the Volt is that its battery power will only take you 40 miles (http://bit.ly/bPC2l2 ). If you need to go further, a gasoline engine takes over. For many commuters, such as those driving to Atlanta from outlying suburbs, forty miles is close to a one-way commute. To take full advantage of the Volt, they would have to charge the car at night at home before driving to work. Once at the office, they would have to find an outlet to plug in the car to let it charge for the trip home. Additionally, people without a garage may have trouble finding a place to plug in their Volt. Although it is capable of charging from a common household 120-volt outlet, outside outlets are not common at many apartments. Even at a house without a garage, it might be difficult to find an outlet that won’t require the use of very long extension cord. The exact price of a Chevy Volt hasn’t been released, but Chevrolet has indicated that the car will cost over $30,000 (http://bit.ly/9AilVS ). This is even after tax credits are taken into account. The Volt and the Tesla share common disadvantages in price and range, but what makes them really impractical is their small size. Like the Prius and the Smart Car, the Volt and Tesla are meant for commuters. A successful family electric car will must have room for a family. To be widely accepted, electric vehicles will not only have to have the range to run errands around town, they will have to have the seating and cargo capacity of a minivan or an SUV. Even if such an electric vehicle were available today, it would be years before we could transition completely away from gasoline powered cars. The Bureau of Transportation Statistics estimates that there are more than 135 million passenger autos in the US (http://bit.ly/9fL3uR ). Many, if not most, of the owners of these cars would not want to incur a mortgage-sized car payment for a new electric car. The market for used electric cars is thus far nonexistent. Consumer demands aren’t the only limits for the growth of the electric car market. At this point, the electrical infrastructure of the US is not prepared to handle the power demands of a transition to electric cars. While electricity is cheaper than oil at this point, increased demand for electricity would drive up its price. This is especially true if congress passes a cap-and-trade energy tax since much of our current electricity is generated by coal, one of the cheapest sources of electricity. New and alternative sources of electricity such as solar and ocean wave capture are expensive when compared to coal, natural gas, and nuclear generated electricity. The cost of wind energy has decreased in recent years, but these alternative sources of energy face the problem of intermittent wind and sunshine. To be practical, alternative energy sources would have to include a back-up storage system for when the wind is calm or clouds block the sun. At this point, massive batteries or some other technology that can back up large scale alternative energy sources have not been developed. A final alternative to oil is to use ethanol in gasoline powered autos. 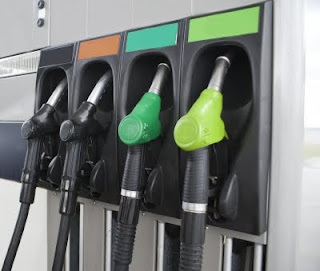 There are several problems associated with ethanol use however. For example, when the government increased the mandated amount of ethanol production in 2007, it caused a worldwide spike in food prices the next year (http://n.pr/bbJPHL ). Even if the total US corn crop was used for ethanol production, it would only account for 12% of American gasoline requirements (http://bit.ly/9zhJIE ). Additionally, ethanol can damage engines. Another newly cost-effective technology converts coal into gasoline. The Germans developed a process to transform coal into gasoline in response to fuel shortages in WWII. Since then, low oil prices have made the process too expensive to compete with oil-based gasoline until recently. Coal-based gasoline does not resolve concerns about pollution and carbon emissions. Similarly, as oil and gasoline prices rise, new advances in biofuels and biomass-based gasoline may become more practical. Although there is already progress with new technology and even more advances are on the horizon, the United States, along with the rest of the world, remains firmly in the grasp of oil. For the foreseeable future, we will need oil rigs to provide the fuel for our national economy.